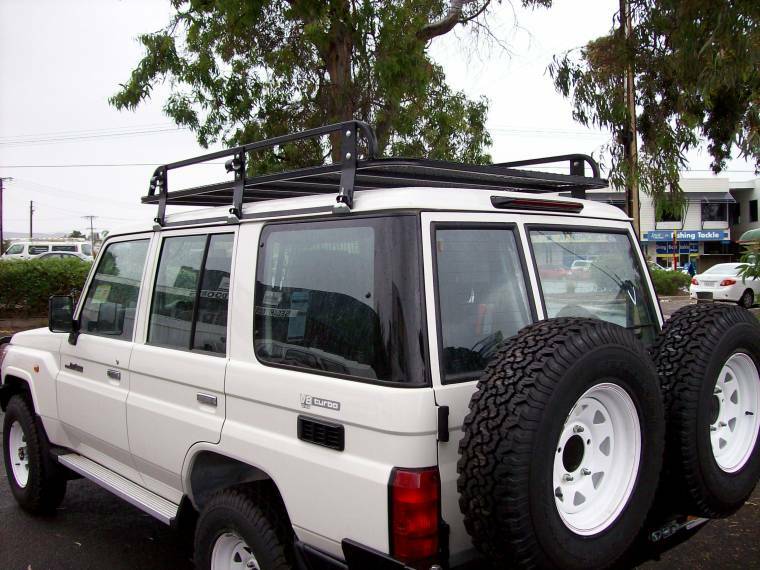 The 4WD Systems Steel Roof Rack has been designed with strength, durability and good looks foremost in mind. The load carrying capacity of a roof rack and its ability to withstand the rigours of 4WD driving is highly dependant upon its design, the mounting system, the choice of materials and quality of finish. 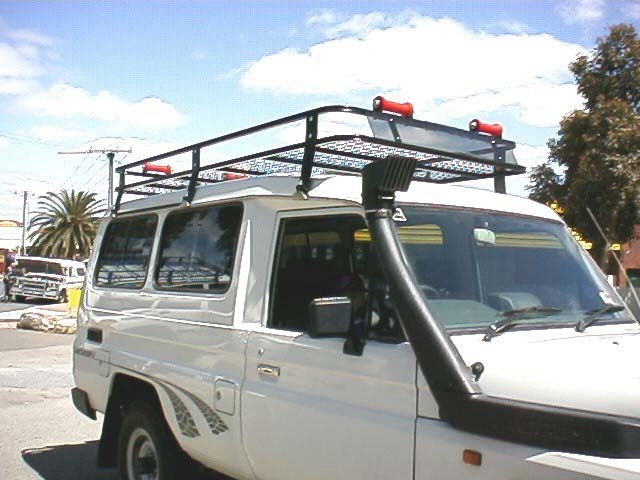 A 4WD Systems Roof Rack allows you to carry all the extra gear needed when touring that is either unsuitable or unsafe for the interior of the modern 4WD but without the cost or off-road limitations imposed by towing a trailer. Designed for load carrying capacity and functionality. They are available in Complete Cage 4 sided baskets, Tradsesman style basket (no ends), Roof Top Tent (partial basket at the front) and Flat Rack styles - in a wide range of sizes. Most feature mesh floors, with optional spare wheel mounting point, light and aerial mounts, hi-lift jack mount, long handle shovel holders. The legs are adjustable to suit common models so when it comes time to change vehicles, it can be easily adjusted to suit the new vehicle, hence saving the cost of purchasing a new basket. The basket, made from oval formed tubing, looks good and will not crack even after extended vibration or due to heavy loads. The mesh floor is supported by multiple cross members meaning more load can be carried without the mesh sagging on the roof. Two people are easily supported for loading purposes. Undercoated with an anti-corrosive coating, finished in powdercoat, the 4WD Systems roof rack is hard wearing, resists scratching and the mesh doesn't rust on this wear prone area. 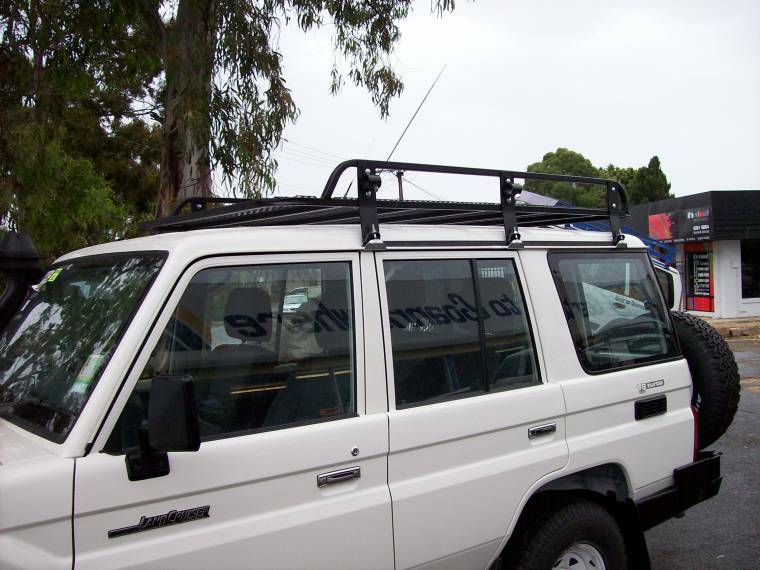 A range of Alloy roof racks are also available in a range of styles and configurations.